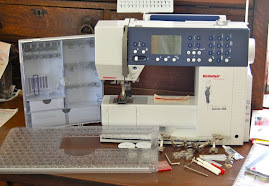 Stitchery! 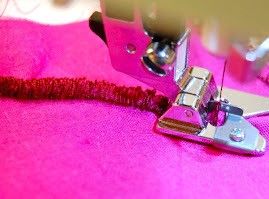 Sewing Machine Attachments, Needle, and Thread: Sunday! I always think of Sunday as the day of rest - just as God devised. 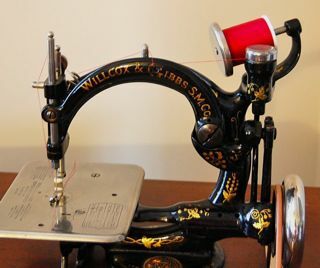 Rest and relaxation and sewing seem to go hand in hand. There are so many UFOs I need to finish and they range from quilts to purses (and totes!) to stuffed toys. I just keep starting more! 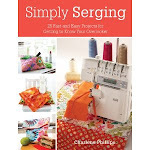 Then I'll grab a crafty book to "just read" and BOOM! I am starting another item. I have sewing, crochet, and even knitting to finish. I finished two stuffed pigs that had been cut out for a year! They are gracing my sewing room so nicely. I finished my comfy pants! Simple pattern but I still had to make major adjustments. 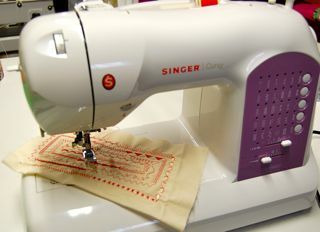 Some in fitting, others as the sewing steps, and also in design. Gotta make it your own! Sitting beside me is our spoiled cocker spaniel, Abby. I made her outfit last week and finally made my pants to match. No - I'm not going eccentric, just having fun! Though at times that may be somewhat eccentric and crazy! Pics will follow of my cutie pigs! Even with all my UFOs laying around and my goal to tackle them one by one and not start anything new - totally blown! I just feel ready for several new purses and totes! 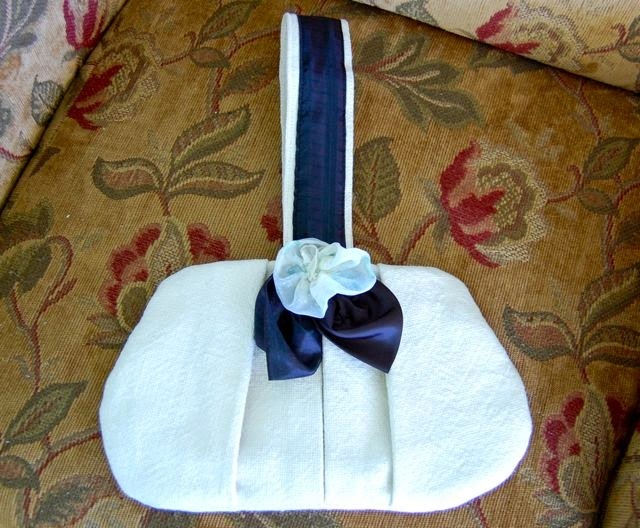 The clothes line purse was fun and educational to do. 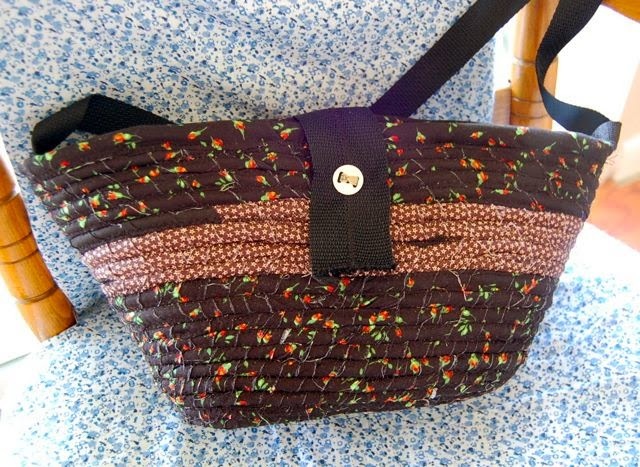 Loved this purse I made from my grandma's curtain. Need to make another tote using the Mylar. 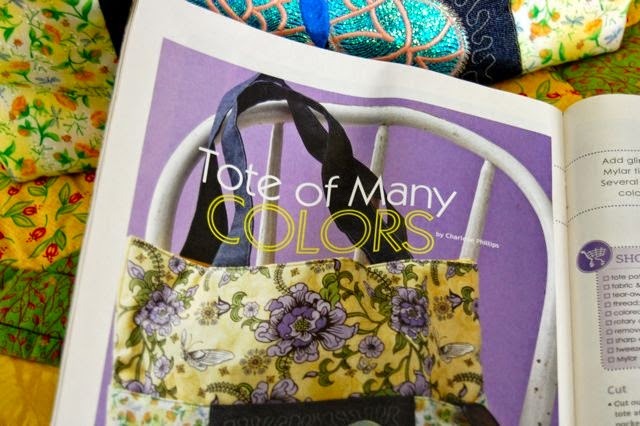 Both the totes I made for the magazine article have bee given away! 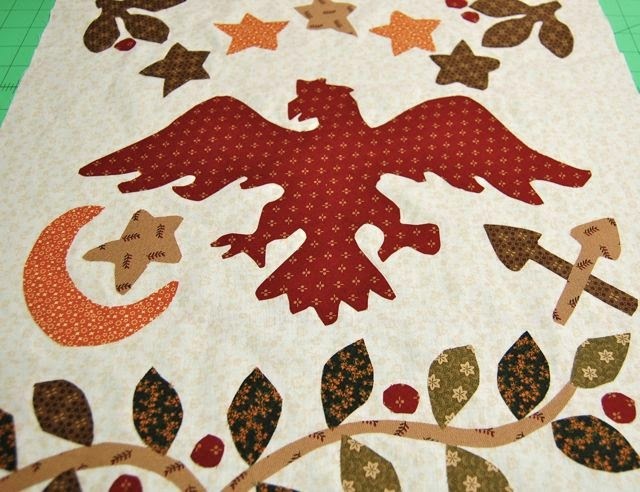 I have more small, miniature quilts on my UFO list. So much fun to do and really use up the tiniest bits of scraps. 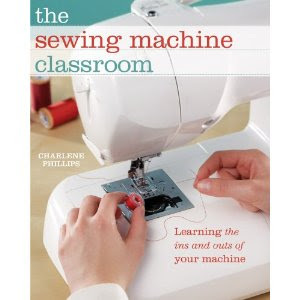 Sew.......... will see what I grab to do while sitting in front of the TV tonight. Maybe crochet, finish the knitting project, hand sew miniature quilt...... hummmmm. Selbst mit all meinen UFOs herumliegen und mein Ziel für ihre Bewältigung einer nach dem anderen und nichts Neues zu beginnen - ganz geblasen! Ich fühle mich bereit für einige neue Geldbörsen und Taschen! Hope your hand is better! 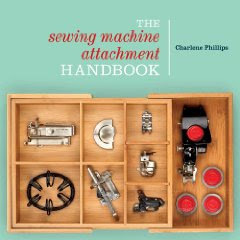 I thoroughly enjoy the sewing attachment book you wrote.